Houseplants are a fabulous way to purify the air in your home, by absorbing chemicals and pollutants found in the air. Scientists from NASA have been studying how plants can clean the air on space stations for years, and the results are extremely impressive! In some controlled conditions, certain plants were able to remove up to 82 percent of pollutants in the air within 24 hours! So which plants are the best at purifying indoor air? Read on to find out! NOTE: If you have pets beware that some houseplants can be toxic to them. Please conduct your own research before trying any of these houseplants. Even novice gardeners can get in on the Aloe Vera action! This is one of the easiest plants to grow, and it gets rid of potentially harmful chemicals that are found in household cleaners and paints. An added bonus? Free first aid relief for burns and cuts, right in your kitchen window! English Ivy was given the number one ranking by NASA as the very best houseplant for cleaning the air. It is the very best at absorbing formaldehyde in the air, and it is also very easy to grow. Grow it in a hanging basket in a corner for best results. This plant is a great choice for those with allergies or asthma, but beware: the leaves are poisonous! The Spider Plant is one of my personal favorites. The beautiful long grassy leaves make it a gorgeous choice for an indoor houseplant, and it doesn’t need too much maintenance. Place the spider plant near the fireplace or in the kitchen for maximum carbon monoxide absorbing benefit. The Areca Palm is another great choice for indoor air purification. As it grows larger and larger, its air purifying benefits will continue to increase. The Areca Palm has a reputation of being one of the best indoor air purifiers that there is! If you’re wanting more than just greenery to spruce up the inside of your home and purify the air, the Peace Lily is a great choice. It is a gorgeous flowering plant that does great in shady spots. What makes the Snake Plant (or Mother In Law’s Tongue unique is that it is on the opposite “schedule” of most other plants. While most plants absorb carbon dioxide and release oxygen during the day, the Snake Plant does so at night. This factor, along with the fact that Snake Plants do great in shady or dim areas, makes it a natural choice for the bedroom. The Philodendron is another attractive, easy to grow plant that can be a great choice for beginners. It is known for it’s ability to absorb formaldehyde in particular, and if you take good care of it, one of these plants can last you a lifetime! Also known as Devil’s Ivy, Golden Pothos sort of has a mind of it’s own. It is a very invasive plant, and is known to overtake surrounding areas near where it is growing. This plant is NOT a good choice for families with pets or even small children, since it can be toxic to them. However, it is a great air purifier, and does a wonderful job of removing air pollutants. If you’re looking for beauty, look no further! The glossy, thin, red edged leaves of the Marginata plant are some of the most beautiful in the world of houseplants. Marginata plants are known to grow super slowly, so you have to be patient with them. 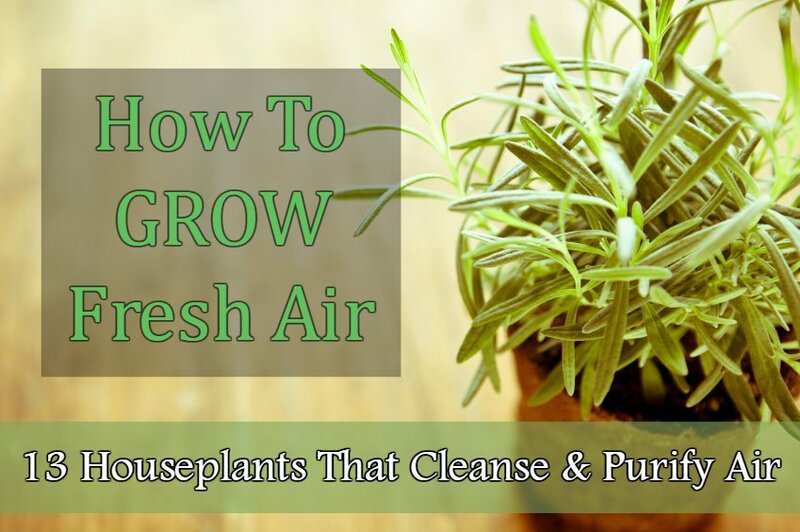 Despite their slow growth, they are great at removing toxins from the air. Do note that this beautiful plant is toxic to dogs. The gorgeous and glossy Chinese Evergreen is a great choice for people who forget they have houseplants (like me!). This plant does well in full shade, and actually grows best when it is water infrequently. Despite it’s easy maintenance, Chinese Evergreen is a great air purifier! A much brighter choice than the dull green of most houseplants, the Gerber Daisy can liven up any space! If you bring home lots of dry cleaning, you might want to consider the Gerber Daisy in your home, since it is great at removing the trichloroethylene found in dry cleaning! Another bright and cheerful choice, the Chrysanthemum is also known for it’s ability to absorb benzene, which is found in lots of cleaners, detergents and plastic products. Make sure to keep it by a window, though, since it is very fond of sunlight. While this one isn’t “technically” a house plant, with good care it can last up to eight weeks in the house, sometimes even more. When it’s done for good, simply compost it and start again with a new one! Azaleas are commonly planted outside, but if you find a cool place in your home (60 to 65 degrees is best) that is near some sunlight, they can be a great indoor choice as well. If you have plywood or foam insulation, Azaleas are great at absorbing any chemicals from those! As you can see, there are so many different plants that can help you to purify the air in your home. 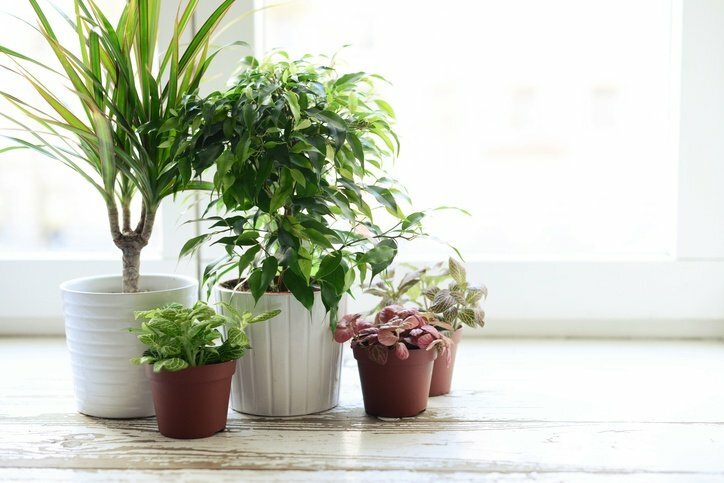 Not only are these plants super helpful, they can really add to the beauty of your home! If you have never considered using these “natural air purifiers” before, you should really give it a go!